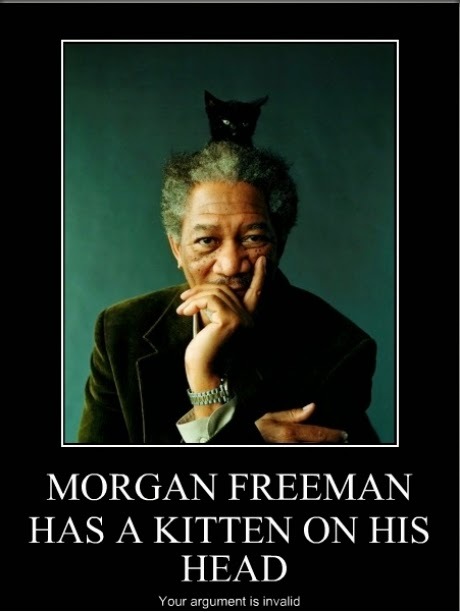 Home / Funny / Morgan Freeman / The Dark Knight / Morgan Freeman's Voice on Helium? 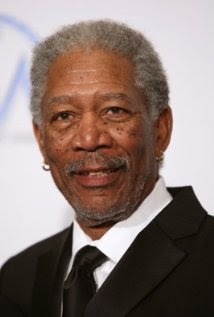 Morgan Freeman has the best voice in world, or at least in movies, but have you wondered what his iconic voice would sound like on helium? Maybe not, but the question is finally answered! 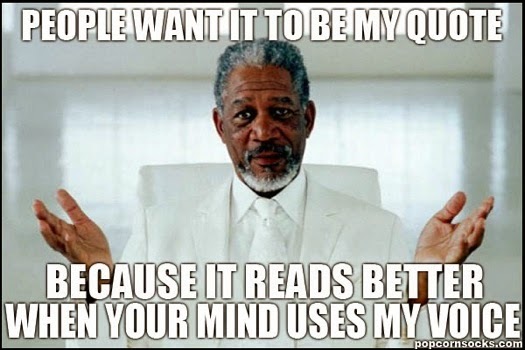 On Science Channel's Through the Wormhole, a TV show about the space and science, which I have no interest in watching, Morgan Freeman lends his voice to narrator the series, and for one segment, he inhales some helium, and the result is rather humorous. While this has little to do with movies, this was too unique and fun not post. 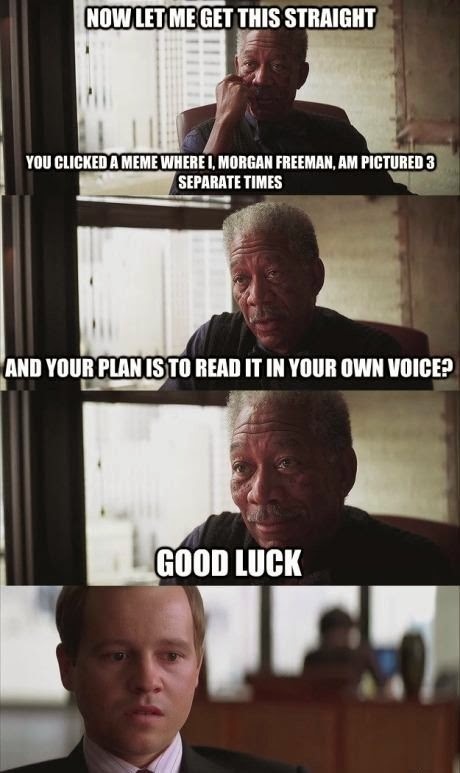 Now, please enjoy the Morgan Freeman memes below. Sorry for the short post. My usual Attack on Titan review has been relayed; however, I have managed to write a review for what I believe will turn out to be the best series of the year (Tokyo ESP), which will be coming Monday. Also, Q and A is still opened, so if you have questions, please ask them.